Passed peacefully on Friday, January 26, 2018 at Hamilton General Hospital in her 100th year. 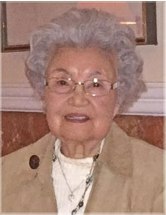 Beloved wife of the late Mike Ujihara. Loving mother of Linda Ujihara (John MacNamara) and Victor Ujihara (Catherine). Passed away on January 25, 2018. GYSLER, Dr. Mathias 'Matt' - Passed peacefully away on January 25, 2018 at home with his family in Oakville, Ontario, at the age of 69. He was surrounded by his loving wife Sherry, of 33 years, his son Stefan and his wife Valerie Luks, his daughter Daniela and her husband Brooks Wood and, of course, the family dogs. Passed away January 25, 2018. POWER, Patrick Joseph 'Joe' - Peacefully on Thursday January 25, 2018 at his home in Georgetown, in his 76th year. Joe, husband of the late Betty Power. Loving father of Janet (Mark), David (Debbie-Lori), Peter (Melanie) and Christine (Adam). Loved papa of Tayler (Ashley), Jordy, Brandan, Jay, Lucas, Caleb, Daniel, Samantha, Ashley, Corson and Teagan and great papa of Lillian. Dear brother of Mary, Theresa (the late Bill), Barb (Gary), Marg (John) and Linda. KIRILOW, George Alexander - Passed away at Oakville Trafalgar Memorial Hospital on Thursday, January 25, 2018 at the age of 56. Predeceased by parents Alexander (2010) and Wanda (nee Janke) (1991). Cherished nephew and godson of Walter (2009). SULLIVAN, Jean (Kyle) - With heavy hearts we announce that Jean passed away peacefully in her sleep at Brant Centre, Burlington, on Thursday, January 25th, 2018. She is now reunited with her loving husband, John (2007). Jean is survived by her devoted son Joel (Terry); grandsons Joel (Kelly), Sean (Rachel) and Daniel, and great-grandson John. SARIC, Ana - Passed away peacefully, on January 25, 2018, with her loving husband by her side at Sheridan Villa Long Term Care, Mississauga at the age of 68. Beloved wife of Milan for 49 years. Loving mom of Christopher and his wife Catherine, and Kevin and his wife Agatha. Much loved grandma of Katelyn and Kyle. Survived by her brother Josip Marovic of Istria, Croatia. GUSE, Donald A. - (January 10, 1930 - January 25, 2018) - Peacefully on Thursday, January 25, 2018 at the Credit Valley Hospital, Mississauga with his loving family by his side. Don, beloved husband of the late Therese Guse. Loving father of Judy (Ken) and Donna (Leonard). Cherished grandpa of Donald, Layla and Veronica. Don was a proud retiree of CP Rail, a devoted Leafs and Jays fan and a dedicated family man who will be dearly missed and forever remembered. SICOLI, Assunta 'Sue' (nee Gentile) - Peacefully surrounded by family at Cama Woodlands, Burlington on Wednesday January 24, 2018. Assunta has gone to join her husband Guido and daughters Josephine Molinaro and Florence Sicoli. Left to remember her is son John (Elaine) and son in law Frank Molinaro. WALL, Wayne - (April 6, 1969 - January 24, 2018) - Wayne passed away peacefully on Wednesday, January 24, 2018 at Credit Valley Hospital in Mississauga at the age of 48 years. He will be sadly missed but forever treasured by his siblings, aunts, uncles, nieces, nephews, close friends and extended family. HOLDER, Donald 'Don' - Passed away peacefully on Wednesday, January 24, 2018 at home, in his 93rd year. Loving husband of Margaret "Margie" for 68 years. Beloved father of Donna, Janice (Paul), Kathy (Ajay) and Paul (Joanne). Cherished Poppa of Jamie (Anita), Alexandra, Lauren (Mort), Shannon and Sara and great-grandfather of Anderson and Lucas. O’HAGAN, Victoria Mary (nee Kowalczyk) - Passed away peacefully, after a brief illness, at Oakville Trafalgar Hospital on Wednesday January 24th, 2018, in her 90th year. Beloved wife of the late Terry (1991). Cherished mother of the lateTerry (2014) and Deborah of Hamilton, Maureen and Gerry Lee of Burlington, the late Colin (2006) of Hamilton, Aldene and Nick Kadak of Teeterville, Mary-Lynn of Hamilton and Tom and Lynda of Flamborough. NELSON, Susan - Susan passed away peacefully with her family by her side at Joseph Brant Hospital on Wednesday, January 24, 2018. Susan was a loving mother to her daughters Madalynn and Emily. She will be missed by her husband Jake and his daughter Alyshia. Susan is survived by her mother Althea, father Brian, Sister Karen (Bill) and nephew Nixon. She was the loving mother of Nick, and mother-in-law of Judy, aunt to Monica, and proud grandmother of David and Nicole. Ruth will be profoundly missed by friends and family alike. May she find in death the peace, contentment, and serenity that eluded her in life. CAMPBELL, Eion Marcus - (December 13, 1996 – January 23, 2018) - Eion (Onion) passed away peacefully at home on January 23, 2018. Loving son of Andrea (Ford) and the late Kevin Campbell. Brother and best friend to Richard. Grandson of Jackie and the late Ricky Campbell, Theresa and the late James Ford. Nephew of Kim (Chris), Geraldine (Martin), Sheila (Joe) and June. Cousin of Tristan, Garrett, Sean, Bill, Ryan, Russell and Amanda. 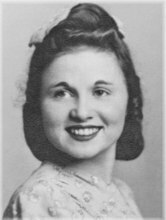 WARD, Barbara Ann - Barbara passed away peacefully on Tuesday, January 23, 2018 at Sheridan Villa LTC in her 78th year. Loving daughter of the late Marguerite and the late Robert Foster. Beloved sister of the late William Foster (Pat), the late Gordon Foster (the late Margaret), the late Yvonne Carter (the late Rick), Douglas Foster (Shirley), the late Kenneth Foster (Barbara), Donald Foster (Gladys), the late Robert Foster, the late Michael Foster (Pat), Linda Jocko (Ted), the late Patricia Baycroft (George) and Sharon Baird (Jim). ARNOLD, Hazel Editha (nee Walker) - Passed away peacefully in her 100th year at Riverside Glen, Guelph, on Tuesday, January 23, 2018. She was the wife of the late Edward Arnold (1985). Predeceased by her parents Samuel and Evelyn Walker, her sisters Alice Dodgson, Bess Harrison and brother George Walker. Beloved aunt of Diane FitzGerald (Harrison), Fred Harrison, Jim Walker, Peter (Valerie) Walker, and David Walker. POUW, Adriana Jacoba 'Jane' - Peacefully on Tuesday January 23rd, 2018 at the Holland Christian Home in Brampton, in her 96th year. Jane, beloved wife of the late Everett Pouw (1991). Loving mother of Mary (Tom Drysdale), Corrie Owen (Don), John, Will and Mike (Patti). Predeceased by her sons Everett and Jack. Jane will be fondly remembered by her 13 grandchildren, 14 great-grandchildren and by her daughters-in-law Peggy and Holly.